What does a castle, Jesus and a mountain have to do with humanitarian action? As noted in my previous blog post, there’s only so much disaster damage one can glean from nadir (that is, vertical) imagery and oblique imagery. Lets suppose that the nadir image below was taken by an orbiting satellite or flying UAV right after an earthquake, for example. How can you possibly assess disaster damage from this one picture alone? Even if you had nadir imagery for these houses before the earthquake, your ability to assess structural damage would be limited. This explains why we also captured oblique imagery for the World Bank’s UAV response to Cyclone Pam in Vanuatu (more here on that humanitarian mission). But even with oblique photographs, you’re stuck with one fixed perspective. Who knows what these houses below look like from the other side; your UAV may have simply captured this side only. And even if you had pictures for all possible angles, you’d literally have 100’s of pictures to leaf through and make sense of. What’s that famous quote by Henry Ford again? 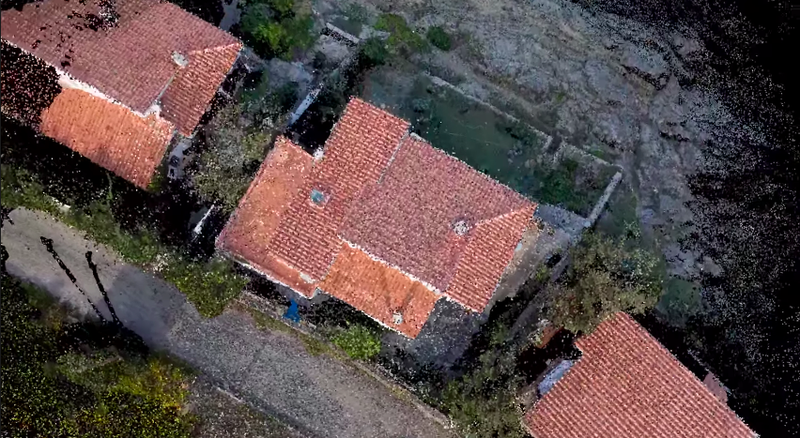 “If I had asked people what they wanted, they would have said faster horses.” We don’t need faster UAVs, we simply need to turn what we already have into Point Clouds, which I’m indeed hoping to do with the aerial imagery from Vanuatu, by the way. The Point Cloud below was made only from single 2D aerial images. We could easily use iPads to turn the process into a Virtual Reality experience for digital volunteers. In other words, you’d be able to move around and above the actual Point Cloud by simply changing the position of your iPad accordingly. This technology already exists and has for several years now. Tracing features in the 3D models that appear to be damaged would be as simple as using your finger to outline the damage on your iPad. What about the inevitable challenge of Big Data? 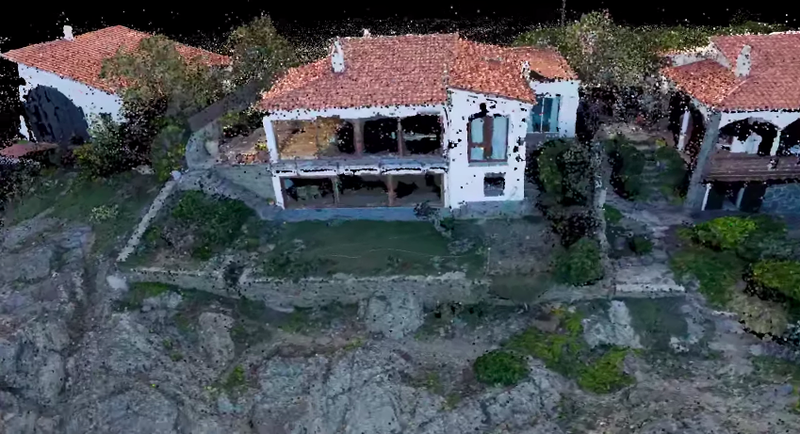 What if thousands of Point Clouds are generated during a disaster? Sure, we could try to scale our crowd-sourcing efforts by recruiting more Digital Humanitarian volunteers, but wouldn’t that just be asking for a “faster horse”? Just like we’ve already done with MicroMappers for tweets and text messages, we would seek to combine crowdsourcing and Artificial Intelligence to automatically detect features of interest in 3D models. This sounds to me like an excellent research project for a research institute engaged in advanced computing R&D. I would love to see the results of this applied research integrated directly within MicroMappers. This would allow us to integrate the results of social media analysis via MicroMappers (e.g, tweets, Instagram pictures, YouTube videos) directly with the results of satellite imagery analysis as well as 2D and 3D aerial imagery analysis generated via MicroMappers. Digital Humanitarians sprung to action just hours after the Category 5 Cyclone collided with Vanuatu’s many islands. This first deployment focused on rapidly assessing the damage by analyzing multimedia content posted on social media and in the mainstream news. This request came directly from the United Nations (OCHA), which activated the Digital Humanitarian Network (DHN) to carry out the rapid damage assessment. 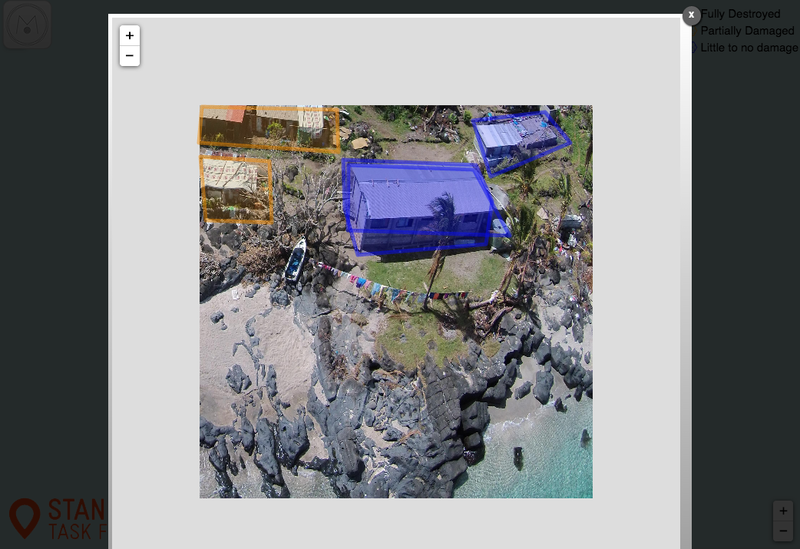 So the Standby Task Force (SBTF), a founding member of the DHN, used QCRI′s MicroMappers platform to produce a digital, interactive Crisis Map of some 1,000+ geo-tagged pictures of disaster damage (screenshot below). Within days of Cyclone Pam making landfall, the World Bank (WB) activated the Humanitarian UAV Network (UAViators) to quickly deploy UAV pilots to the affected islands. UAViators has access to a global network of 700+ professional UAV pilots is some 70+ countries worldwide. The WB identified two UAV teams from the Humanitarian UAV Network and deployed them to capture very high-resolution aerial photographs of the damage to support the Government’s post-disaster damage assessment efforts. Pictures from these early UAV missions are available here. 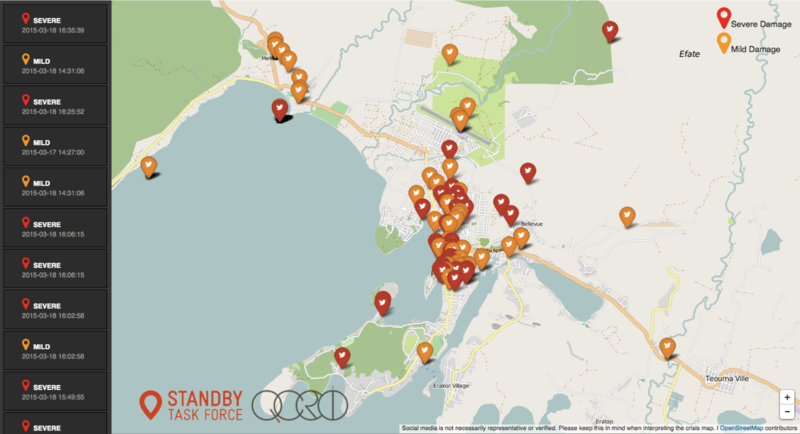 Aerial images & videos of the disaster damage were also posted to the UAViators Crowdsourced Crisis Map. 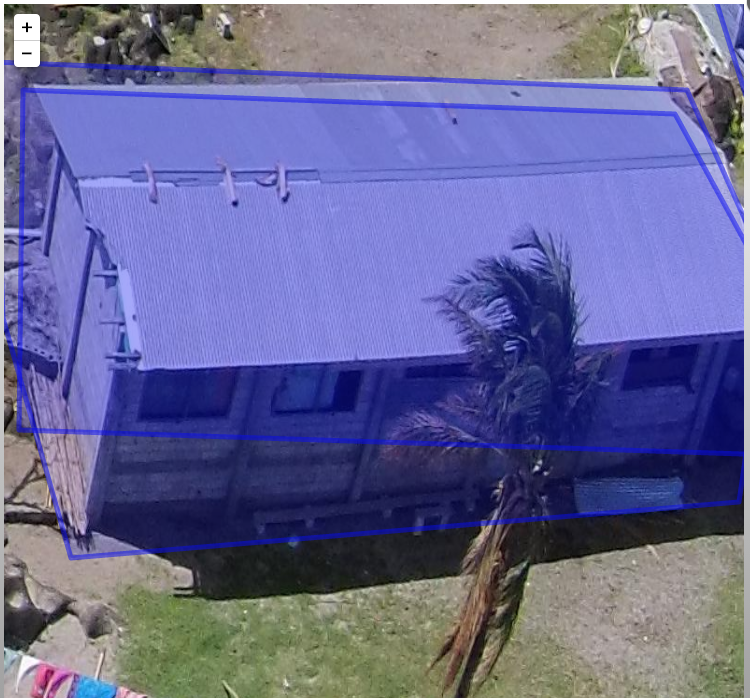 Last week, the World Bank activated the DHN (for the first time ever) to help analyze the many, many GigaBytes of aerial imagery from Vanuatu. So Digital Jedis from the DHN are now using Humanitarian OpenStreetMap (HOT) and MicroMappers (MM) to crowdsource the search for partially damaged and fully destroyed houses in the aerial imagery. The OSM team is specifically looking at the “nadir imagery” captured by the UAVs while MM is exclusively reviewing the “oblique imagery“. 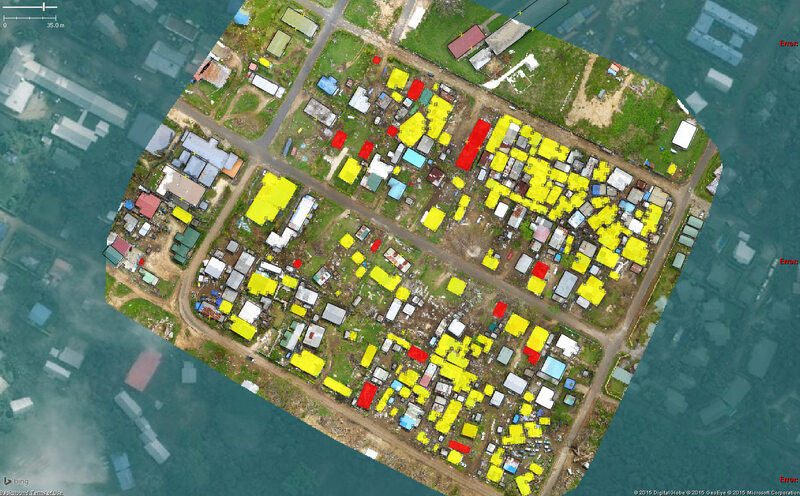 More specifically, digital volunteers are using MM to trace destroyed houses red, partially damaged houses orange, and using blue to denote houses that appear to have little to no damage. Below is an early screenshot of the Aerial Crisis Map for the island of Efate. The live Crisis Map is available here. Clicking on one of these markers will open up the high resolution aerial pictures taken at that location. Here, two houses are traced in blue (little to no damage) and two on the upper left are traced in orange (partial damage expected). 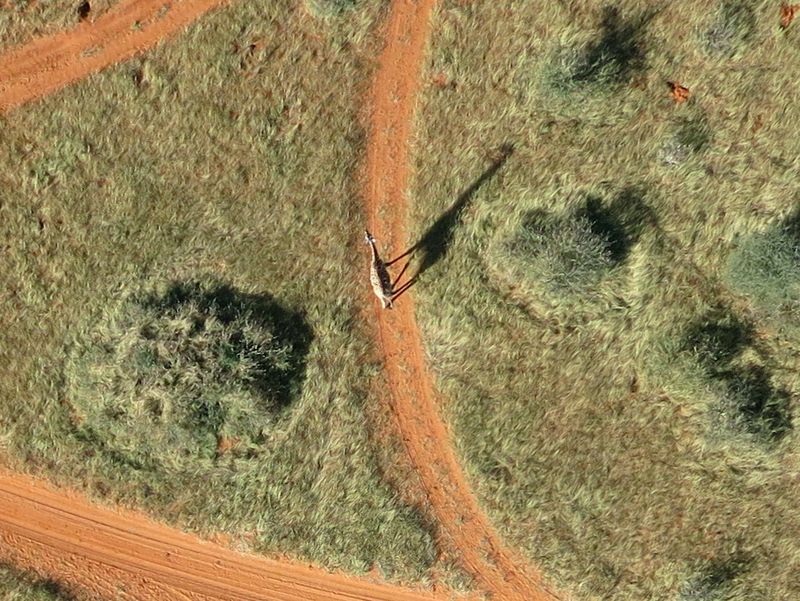 The cameras on the UAVs captured the aerial imagery in very high resolution, as you can see from the close up below. You’ll note two traces for the house. These two traces were done by two independent volunteers (for the purposes of quality control). In fact, each aerial image is shown to at least 3 different Digital Jedis. 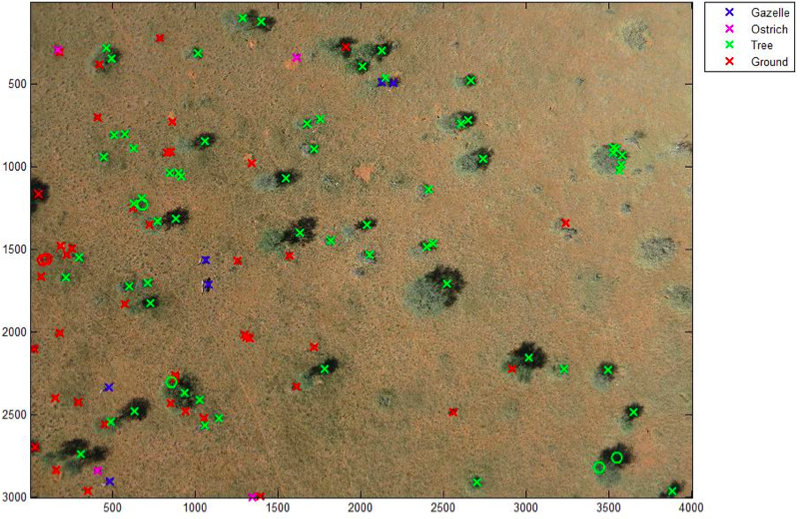 Once this MicroMappers deployment is over, we’ll be using the resulting traces to create automated featured detection algorithms; just like we did here for the MicroMappers Namibia deployment. This approach, combining crowdsourcing with Artificial Intelligence (AI), is explored in more detail here vis-a-vis disaster response. The purpose of taking this hybrid human-machine computing solution is to accelerate (semi-automate) future damage assessment efforts. Meanwhile, back in Vanuatu, the HOT team has already carried out some tentative, preliminary analysis of the damage based on the aerial imagery provided. They are also up-dating their OSM maps of the affected islands thanks this imagery. Below is an initial damage assessment carried out by HOT for demonstration purposes only. Please visit their deployment page on the Vanuatu response for more information. So what’s next? Combining both the nadir and oblique imagery to interpret disaster damage is ultimately what is needed, so we’re actually hoping to make this happen (today) by displaying the nadir imagery directly within the Aerial Crisis Map produced by MicroMappers. (Many thanks to the MapBox team for their assistance on this). We hope this integration will help HOT and our World Bank partners better assess the disaster damage. This is the first time that we as a group are doing anything like this, so obviously lots of learning going on, which should improve future deployments. Ultimately, we’ll need to create 3D models (point clouds) of disaster affected areas (already easy to do with high-resolution aerial imagery) and then simply use MicroMappers to crowdsource the analysis of these 3D models. For now, though, Digital Jedis will continue working very closely with the World Bank to ensure that the latter have the results they need in the right format to deliver a comprehensive damage assessment to the Government of Vanuatu by the end of the week. In the meantime, if you’re interested in learning more about digital humanitarian action, then please check out my new book, which features UAViators, HOT, MM and lots more. MicroMappers combines crowdsourcing and artificial intelligence to make sense of “Big Data” for Social Good. Why artificial intelligence (AI)? Because regular crowdsourcing alone is no match for Big Data. The MicroMappers platform can already be used to crowdsource the search for relevant tweets as well as pictures, videos, text messages, aerial imagery and soon satellite imagery. The next step is therefore to add artificial intelligence to this crowdsourced filtering platform. We have already done this with tweets and SMS. So we’re now turning our attention to aerial and satellite imagery. 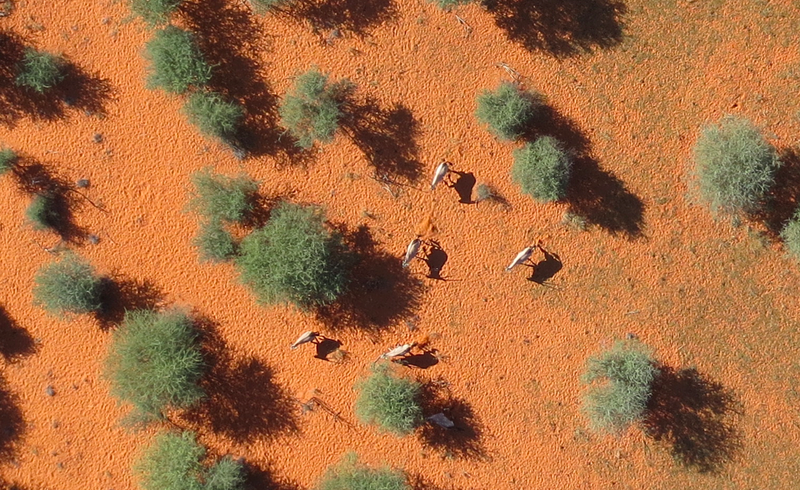 Our very first deployment of MicroMappers for aerial imagery analysis was in Africa for this wildlife protection project. 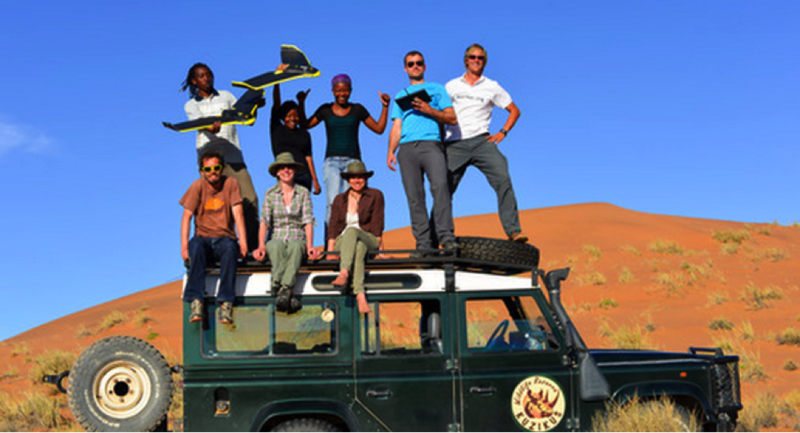 We crowdsourced the search for wild animals in partnership with rangers from the Kuzikus Wildlife Reserve based in Namibia. We were very pleased with the results, and so were the rangers. As one of them noted: “I am impressed with the results. There are at times when the crowd found animals that I had missed!” We were also pleased that our efforts caught the attention of CNN. As noted in that CNN report, our plan for this pilot was to use crowdsourcing to find the wildlife and to then combine the results with artificial intelligence to develop a set of algorithms that can automatically find wild animals in the future. To do this, we partnered with a wonderful team of graduate students at EPFL, the well known polytechnique in Lausanne, Switzerland. While these students were pressed for time due to a number of deadlines, they were nevertheless able to deliver some interesting results. Their applied, computer vision research is particularly useful given our ultimate aim: to create an algorithm that can learn to detect features of interest in aerial and satellite imagery in near real-time (as we’re interested in applying this to disaster response and other time-sensitive events). For now, however, we need to walk before we can run. This means carrying out the tasks of crowdsourcing and artificial intelligence in two (not-yet-integrated) steps. 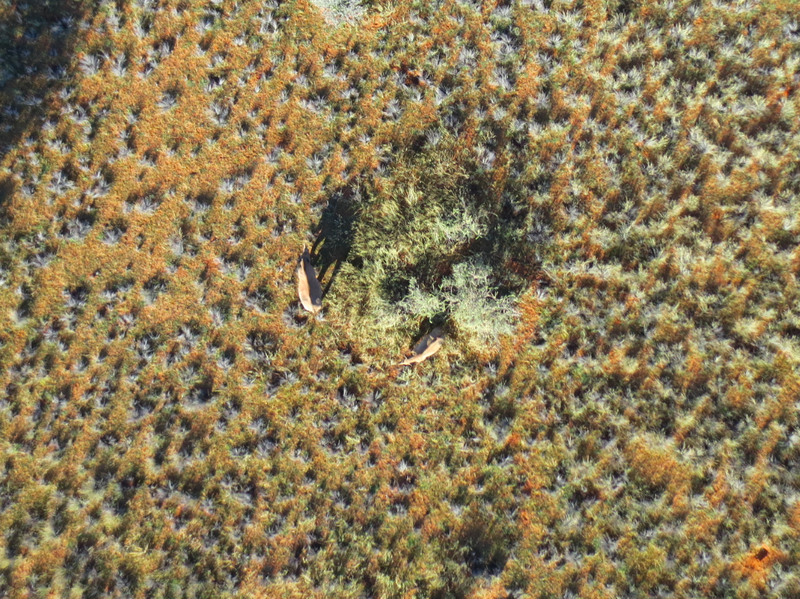 As the EPFL students rightly note in their preliminary study, the use of thermal imaging (heat detection) to automatically identify wildlife in the bush is some-what problematic since “the temperature difference between animals and ground is much lower in savannah […].” This explains why the research team used the results of our crowdsourcing efforts instead. More specifically, they focused on automatically detecting the shadows of gazelles and ostriches by using an object based support vector machine (SVM). The whole process is summarized below. The above method produces results like the one below (click to enlarge). 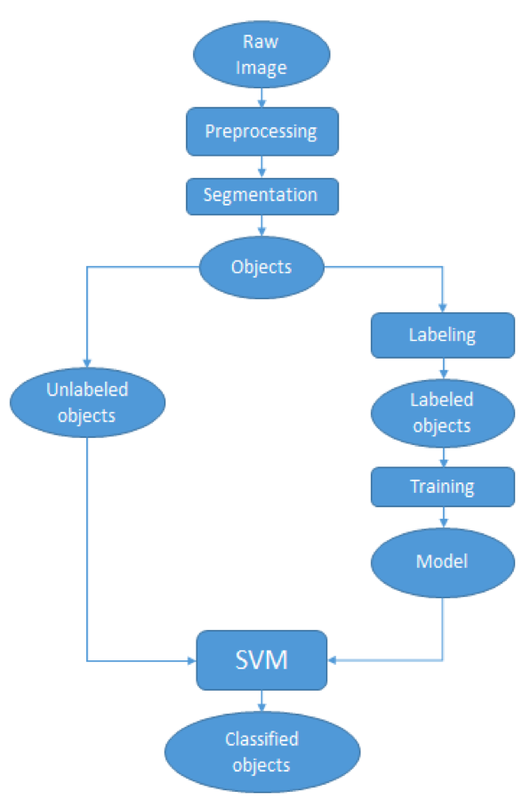 The circles represents the objects used to train the machine learning classifier. The discerning reader will note that the algorithm has correctly identified all the gazelles save for one instance in which two gazelles were standing close together were identified as one gazelle. But no other objects were mislabeled as a gazelle. In other words, EPFL’s gazelle algorithm is very accurate. “Hence the classifier could be used to reduce the number of objects to assess manually and make the search for gazelles faster.” Ostriches, on the other hand, proved more difficult to automatically detect. But the students are convinced that this could be improved if they had more time. In conclusion, more work certainly needs to be done, but I am pleased by these preliminary and encouraging results. In addition, the students at EPFL kindly shared some concrete features that we can implement on the MicroMappers side to improve the crowdsourced results for the purposes of developing automated algorithms in the future. So a big thank you to Briant, Millet and Rey for taking the time to carry out the above research. My team and I at QCRI very much look forward to continuing our collaboration with them and colleagues at EPFL. In the meantime, more on all this in my new book, Digital Humanitarians: How Big Data is Changing the Face of Humanitarian Response, which has already been endorsed by faculty at Harvard, MIT, Stanford, Oxford, etc; and by experts at the UN, World Bank, Red Cross, Twitter, etc. MicroMappers and our partners at the Standby Task Force (SBTF) were activated by the United Nations Office for the Coordination of Humanitarian Affairs (OCHA). The Mission? To augment the situational awareness of humanitarian actors on the ground by making sense of social media generated following the Typhoon. Over the course of 72 hours, these Digital Jedis united to MicroMap one Click at a time. By reviewing tweets and image, each MicroMapper built collective intelligence and insights that were used to build a comprehensive situational awareness reports and maps for the UN. Many hands, and in this case, Clicks, make light work. 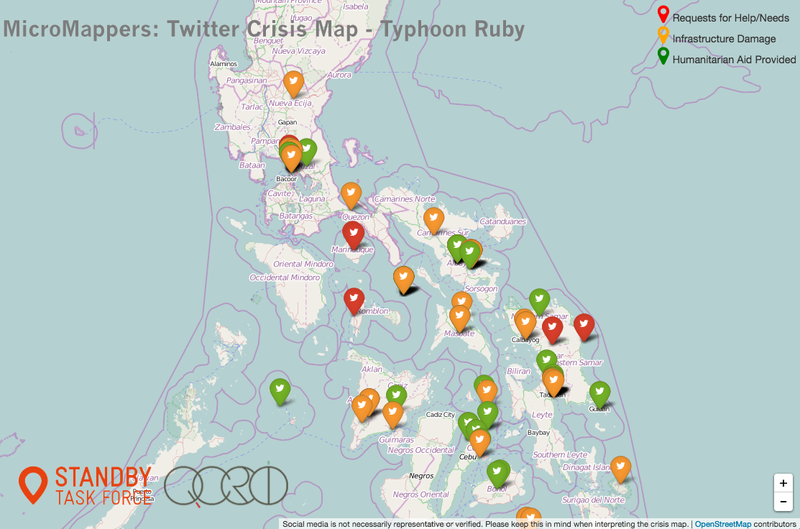 Together, these tweets—which are mapped above—represented less than 5% of the Ruby-related tweets that were collected during the first 72 hours of the Typhoon making landfall. This doesn’t mean that only 5% of the information on Twitter was relevant for emergency response, however. Indeed, we also tagged tweets that were not related to the above 3 categories but that were still informative. These constituted more than 20% of all tweets collected (which are not included in the map above). In the analysis provided to UN partners, we did include a review of those other relevant tweets. Some 700 Digital Jedis joined the response online, a new record for MicroMappers! An astounding 50,394 Clicks were made using the Text Clicker pictured above (each tweet was reviewed by at least 3 digital volunteers for quality assurance purposes). And a further 3,555 Clicks were carefully made by the SBTF to geo-locate (map) relevant tweets. In other words, close to 55,000 Clicks went into making the high quality map displayed above! That’s over 12 Clicks per minute non-stop for more than 4,300 consecutive minutes! The United Nations also asked Digital Jedis to identify pictures posted on Twitter that showed disaster damage. Over 30,000 Clicks went into this operation with a further 7,413 Clicks made by the SBTF to map images that showed severe and mild damage. In sum, over 40,000 Clicks went into the MicroMap above. 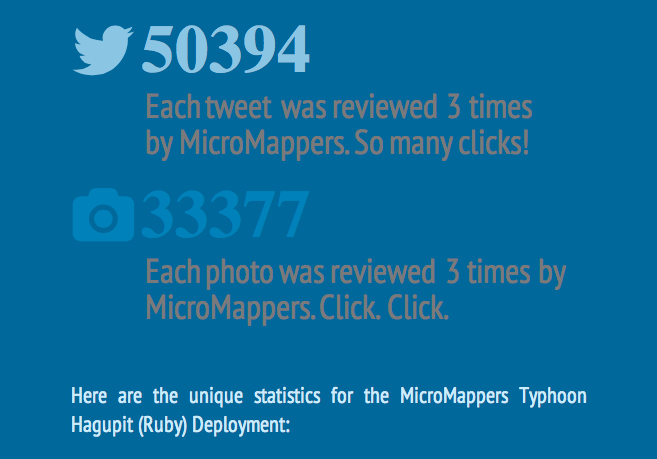 Overall, the entire MicroMappers response was powered by close to 100,000 Clicks! Digital Jedis have yet again shown that together, we can help people get positively involved in their world, even when half-a-globe and many timezones away. Yes, we can and should donate $$ to support relief efforts and good causes around the world but we can also get directly involved by donating our time, or what we call M&M’s, Minutes and Mouse clicks. This year MicroMappers have mobilized to support wildlife protection in Namibia, food security efforts in the Philippines and of course this most recent response to Typhoon Ruby. 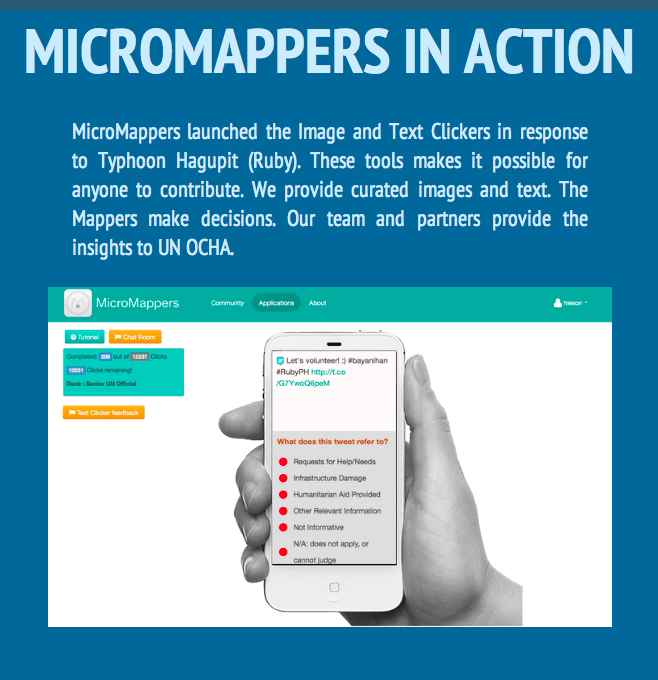 On that note, thanks again to all volunteers who supported the MicroMappers response to the Typhoon in partnership with the United Nations. You truly are Digital Jedis! And the UK Guardian certainly agrees, check out their article on our digital response. So what’s next? We will continue to solicit your feedback on how to improve the Clickers and will get started right away. (Add your MicroMappers feedback here). In the meantime, we will leave the Clickers online for newcomers who wish to practice. We are also in touch with the UN and UAV partners in the Philippines as they may soon fly their small, remote-control planes to take aerial photographs over disaster affected areas. If they do, they will send us the photographs for analysis via MicroMappers, so stay tuned. In closing, MicroMappers was developed by QCRI in partnership SBTF/OCHA. 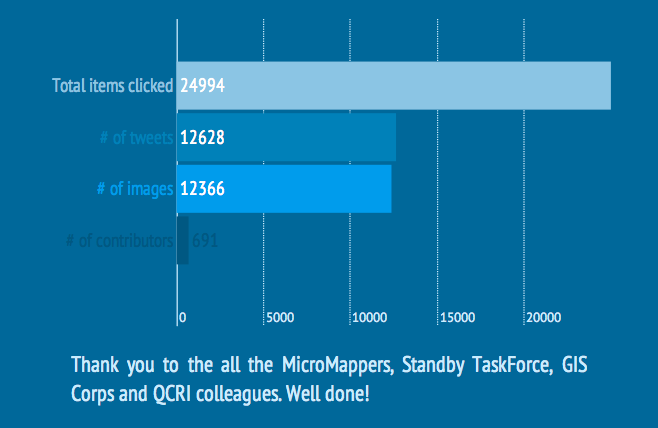 So a million thanks to the QCRI team and SBTF for deploying MicroMappers in support of these digital humanitarian efforts. Special thanks go to Ji Lucas, Jus Mackinnon, ChaTo Castillo, Muhammad Imran, Heather Leson, Sarah Vieweg and last but certainly not least Peter Mosur. 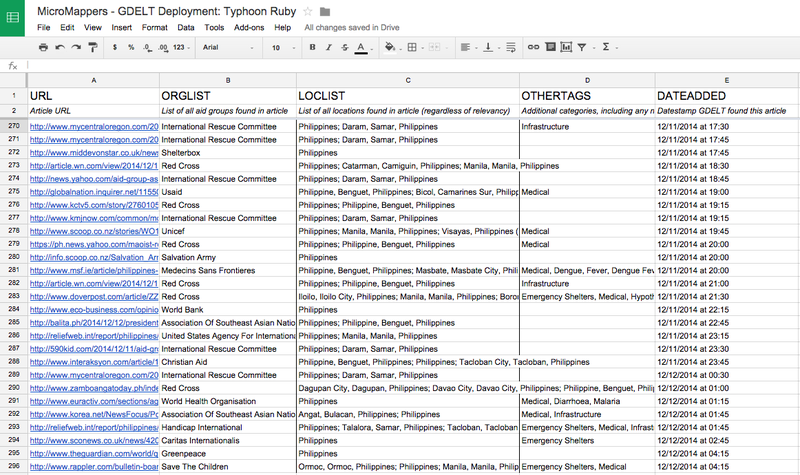 Calling All Digital Jedis: Support UN Response to Super Typhoon Ruby! 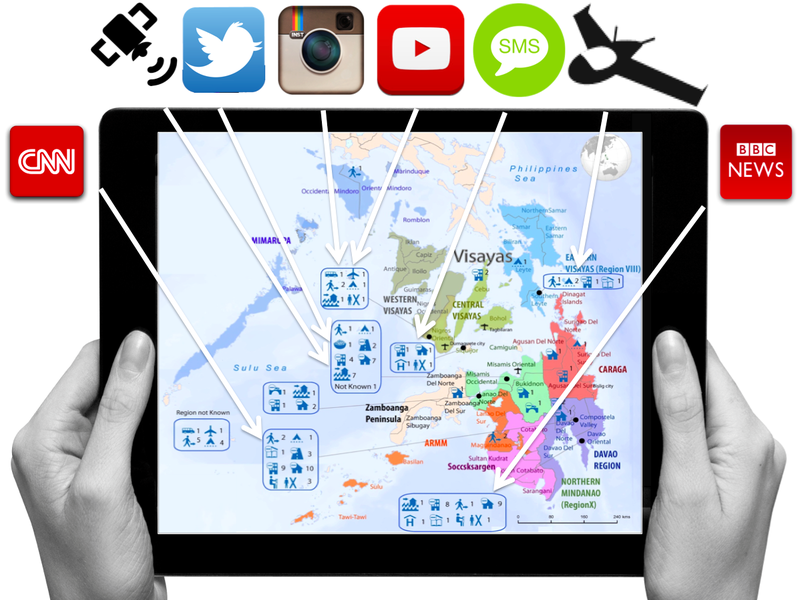 The United Nations has officially activated the Digital Humanitarian Network (DHN) in response to Typhoon Ruby. The DHN serves as the official interface between formal humanitarian organizations and digital volunteer groups from all around the world. These digital volunteers—also known as Digital Jedis— provide humanitarian organizations like the UN and the Red Cross with the “surge” capacity they need to make sense of the “Big Data” that gets generated during disasters. This “Big Data” includes large volumes of social media reports and satellite imagery, for example. 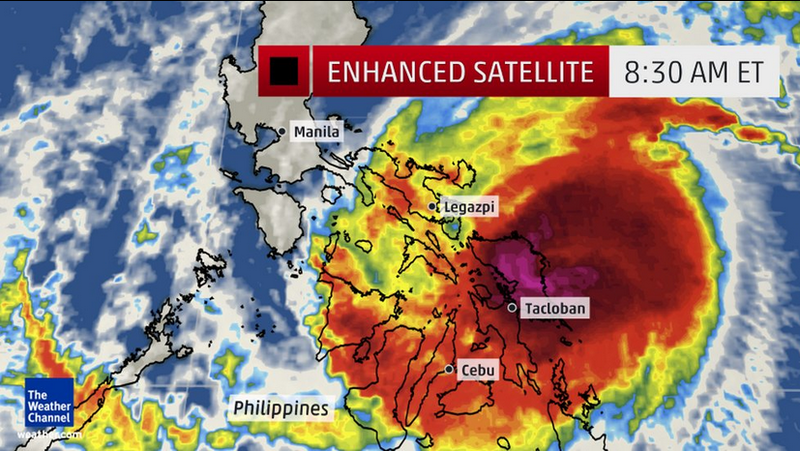 And there is a lot of this data being generated right now as a result of Super Typhoon Ruby. To make sense of this flash flood of information, Digital Jedis use crowdsourcing platforms like MicroMappers, which was developed in partnership with the UN Office for the Coordination of Humanitarian Affairs (OCHA). In their activation of the Digital Humanitarian Network, the UN has requested that Digital Jedis look for Ruby-related tweets that refer to needs, damage & response efforts. They have also asked digital volunteers to identify pictures of damage caused by the Typhoon. These tweets and pictures will then to be added to a live crisis map to augment the UN’s own disaster damage and needs assessment efforts. You too can be a Digital Jedi. Trust me, MicroMappers is far easier to use than a lightsaber. All it takes is a single Click of the mouse. Yes, it really is that simple. So, if a Digital Jedi you want to be, let your first Click be this one! Following that click will set you on the path to help the United Nation’s important relief efforts in the Philippines. So if you’ve got a bit of time on your hands—even 2 minutes goes a long way—then help us make a meaningful difference in the world, join the Force! And may the Crowd be with Us!